President Muhammadu Buhari is on a divine mission to rescue the Nigeria from the brink of collapse and hopelessness, Speaker of the House of Representatives, Rt. Hon. 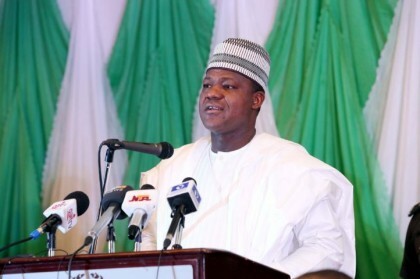 Yakubu Dogara has said. In a statement felicitating with the President on his 74th birthday anniversary, the Speaker said Buhari came back to lead Nigeria at a time when the nation was in dire need of purposeful, credible and dynamic leadership. Dogara maintained that although the road is rough and turbulent, the journey to greatness and affluence has commenced with the APC government led by President Buhari.